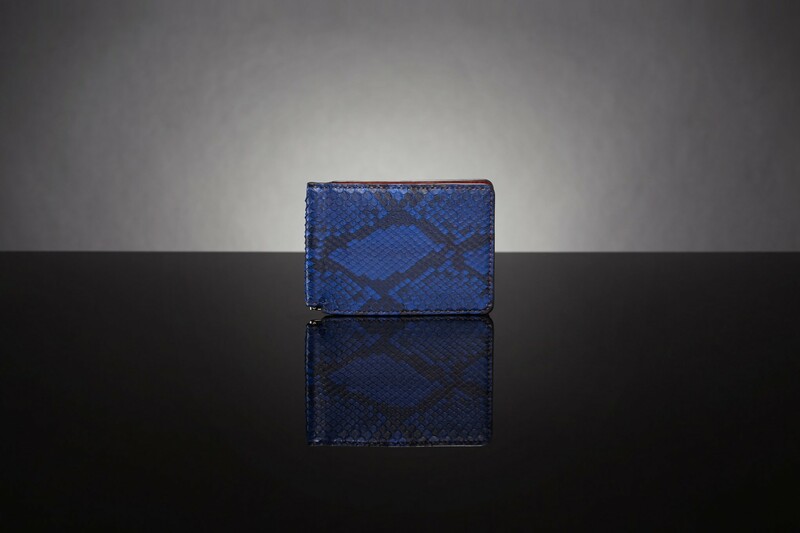 Matte royal blue python with cherry Italian cowhide interior. 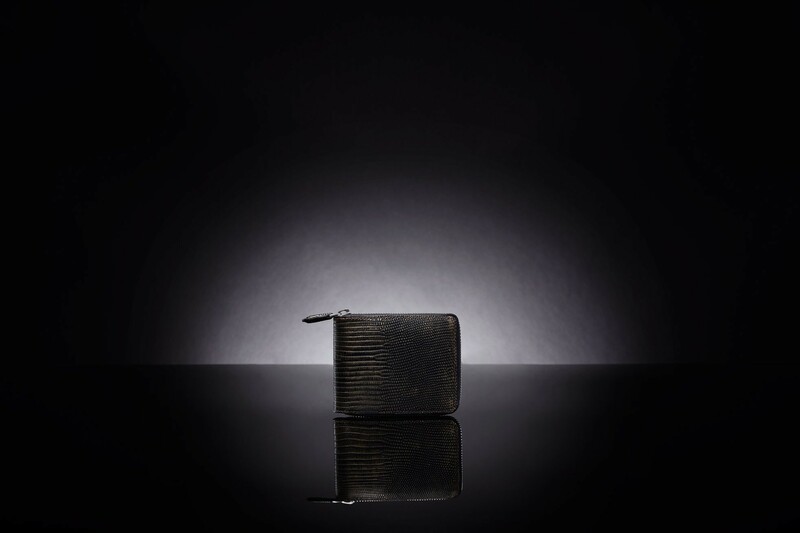 Metal money clip. 6 Card slots. 2 Side card compartments. 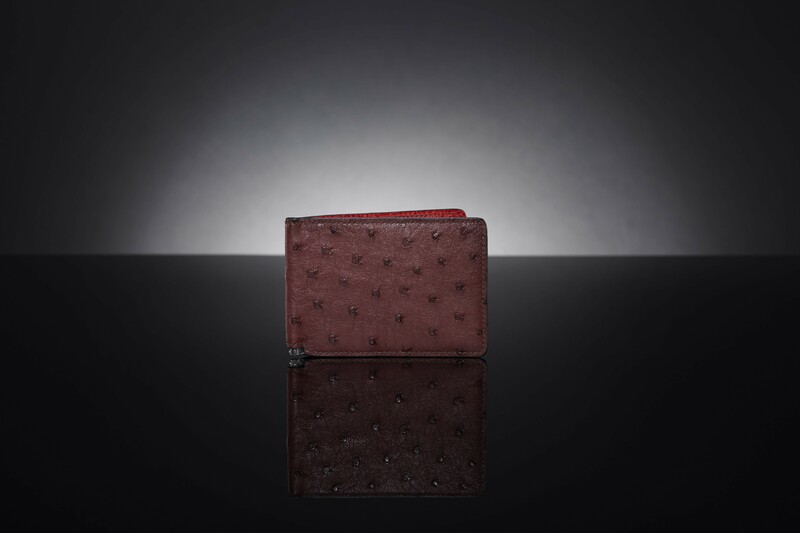 Bordeaux South African ostrich with cherry Italian cowhide interior. 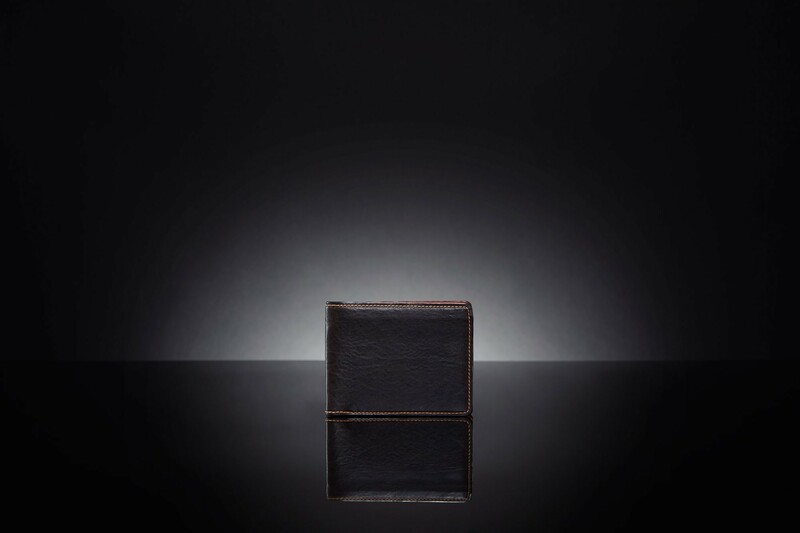 Metal money clip. 6 Card slots. 2 Side card compartments. Matte sand lizard with olive green Italian cowhide interior. 2 Note compartments. 6 Card slots. 2 Side card compartments. Brown shark with cognac Italian cowhide interior. 2 Note compartments. 6 Card slots. 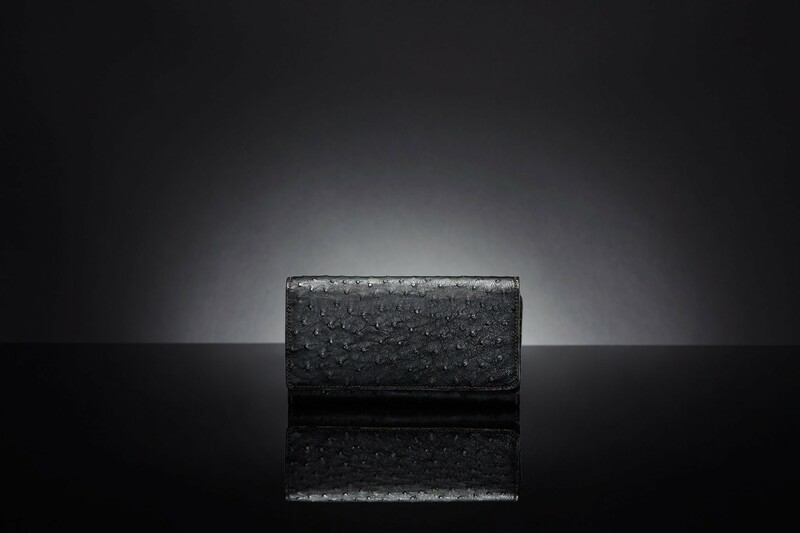 Grey himalayan crocodile with black Italian cowhide interior 2 Note compartments. 6 Card slots. 2 Side card compartments. 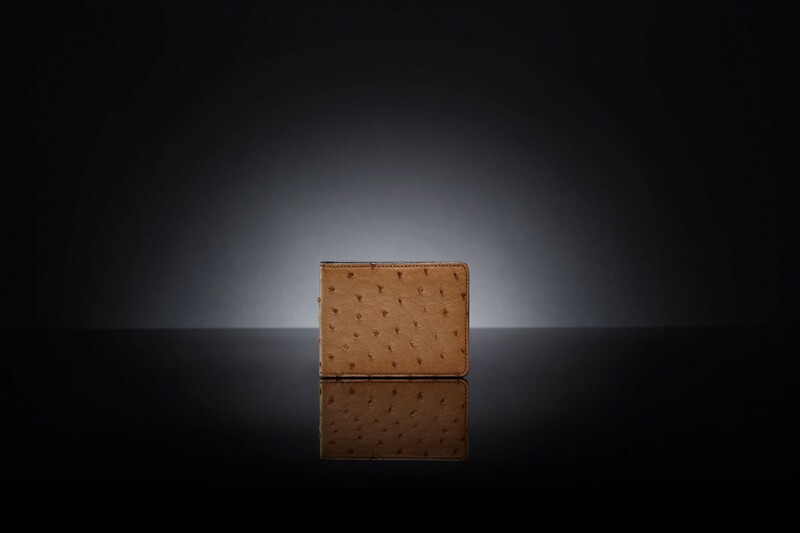 Stone South African ostrich with mustard Italian cowhide interior. 4 Note compartments. 14 Card slots. 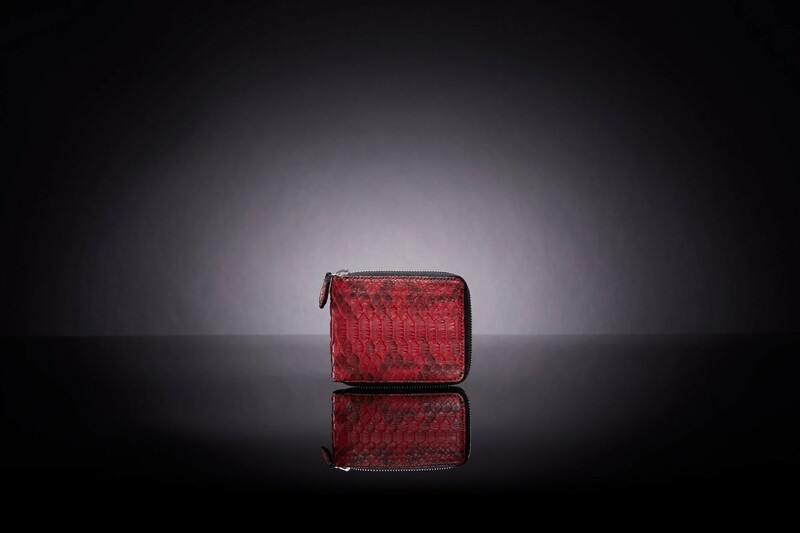 Matte red python with black Italian cowhide interior. 2 Note compartments. 6 Card slots. 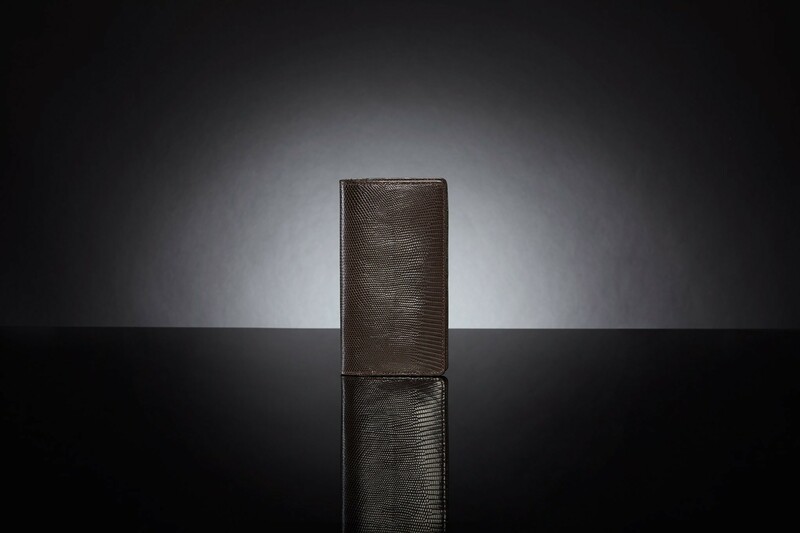 2 Side card compartments. 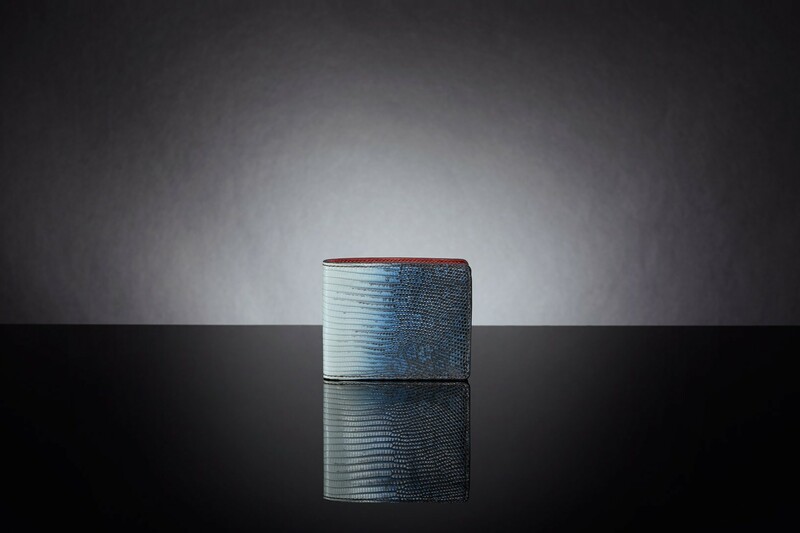 Mabu java blue lizard with cherry Italian cowhide interior. 2 Note compartments. 6 Card slots. 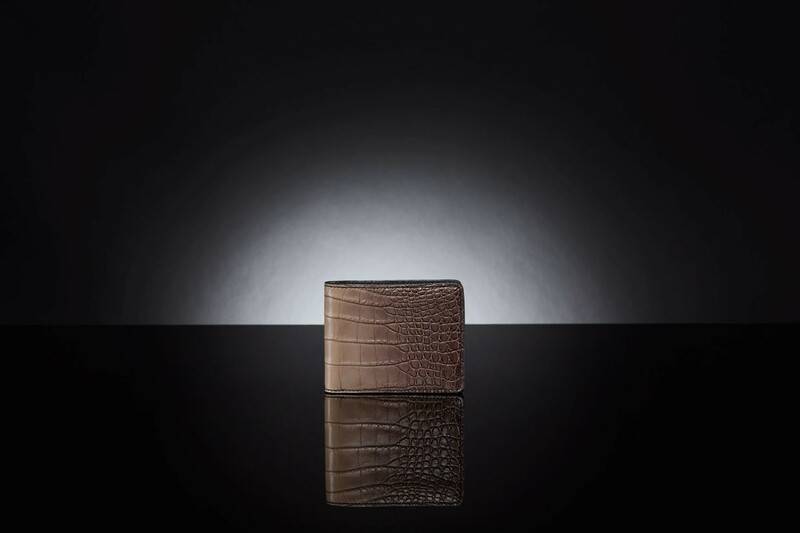 Ivory prestige alligator with cherry Italian cowhide interior. 2 Note compartments. 6 Card slots. 2 Side card compartments. 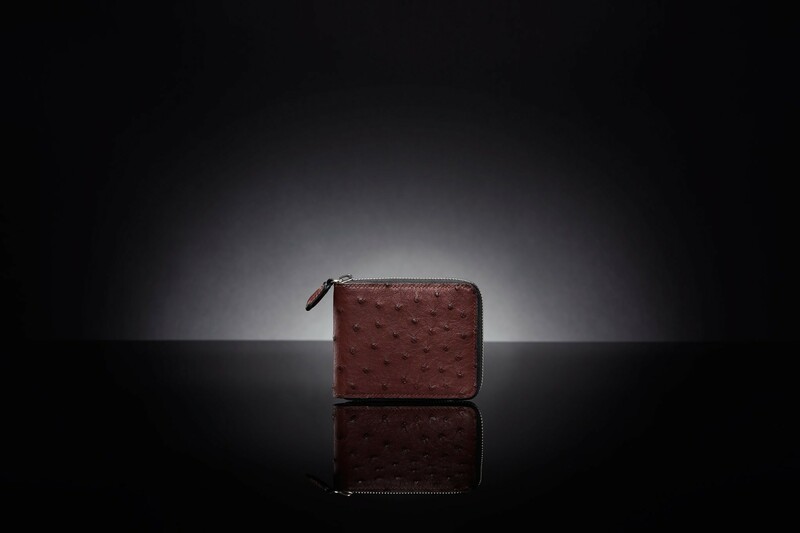 Kango tabac South African ostrich with cherry Italian cowhide interior. 2 Note compartments. 3 Card slots. 2 Side card compartments. 1 Coin pocket. 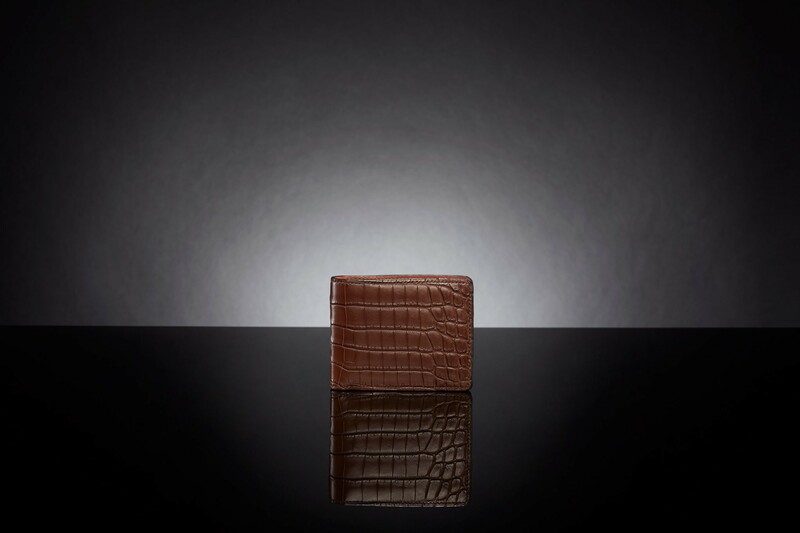 Nubuck chocolate crocodile with sapin French goat interior. 2 Note compartments. 6 Card slots. 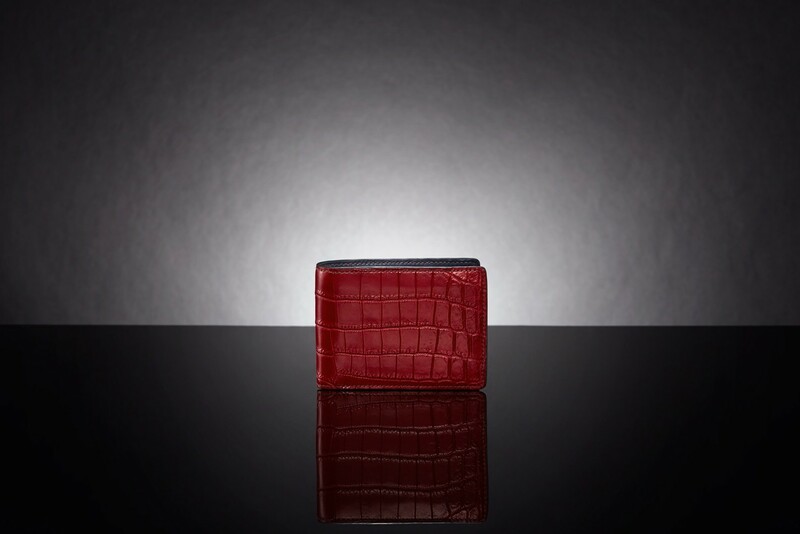 Matte ruby crocodile with d.blue Italian cowhide interior 2 Note compartments. 6 Card slots. 2 Side card compartments. 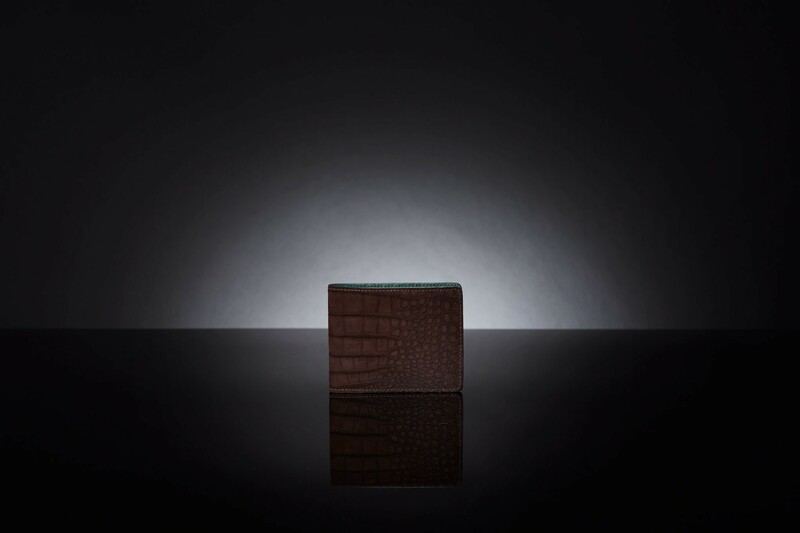 Matte choc crocodile with kroket Italian cowhide interior. 2 Note compartments. 6 Card slots. 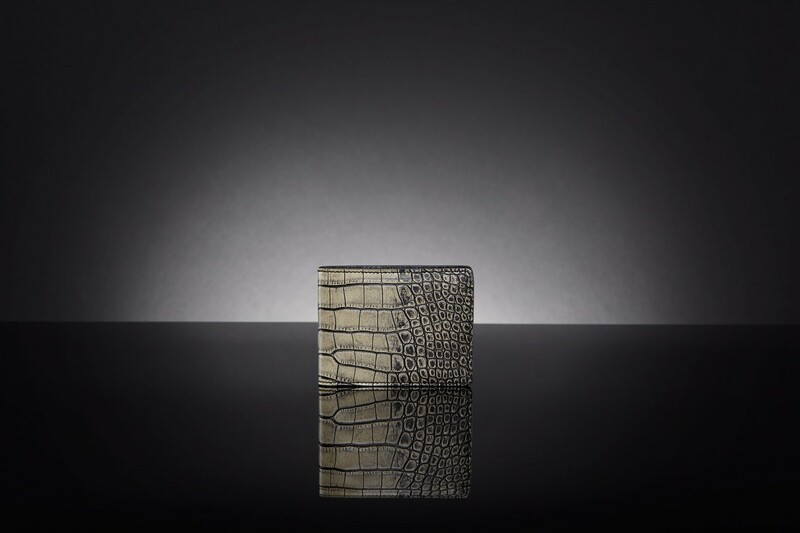 Ivory prestige alligator with black Italian cowhide interior. 2 Note compartments. 6 Card slots. 2 Side card compartments. 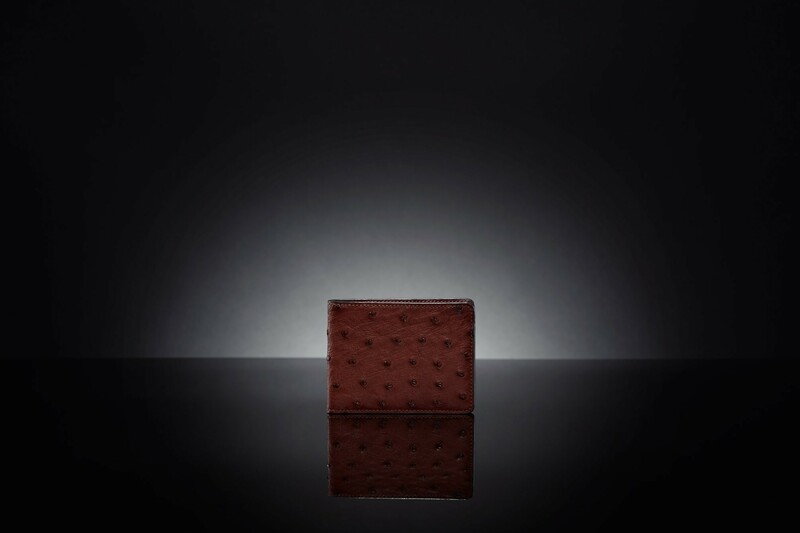 Black South African ostrich with olive green Italian cowhide interior. 6 Note compartments. 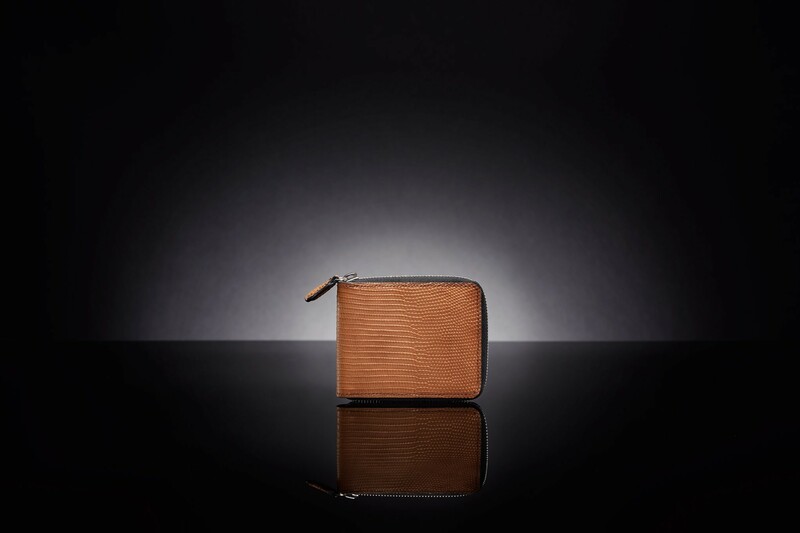 1 Zipper compartment. 18 Card slots. 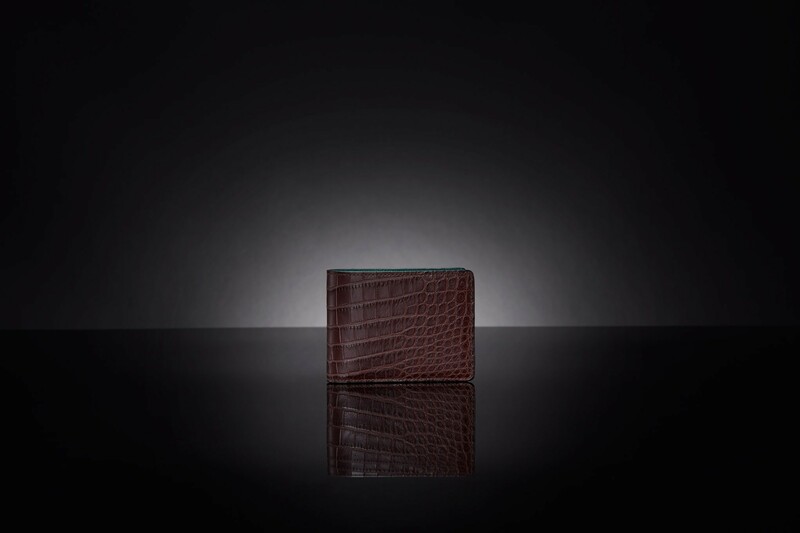 Matte burgandy Niloticus crocodile with sapin French goat interior. 2 Note compartments. 6 Card slots. 2 Side card compartments. 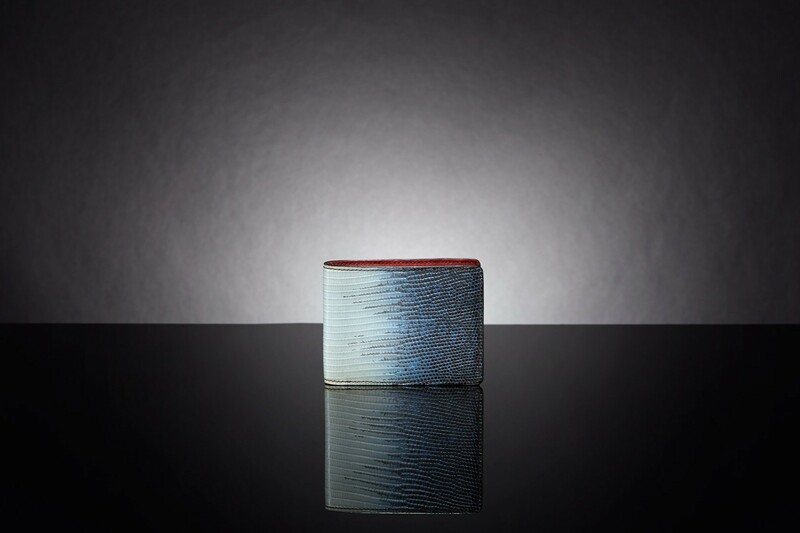 Mabu java blue lizard with cherry Italian cowhide interior. 2 Note compartments. 6 Card slots. 2 Side card compartments. 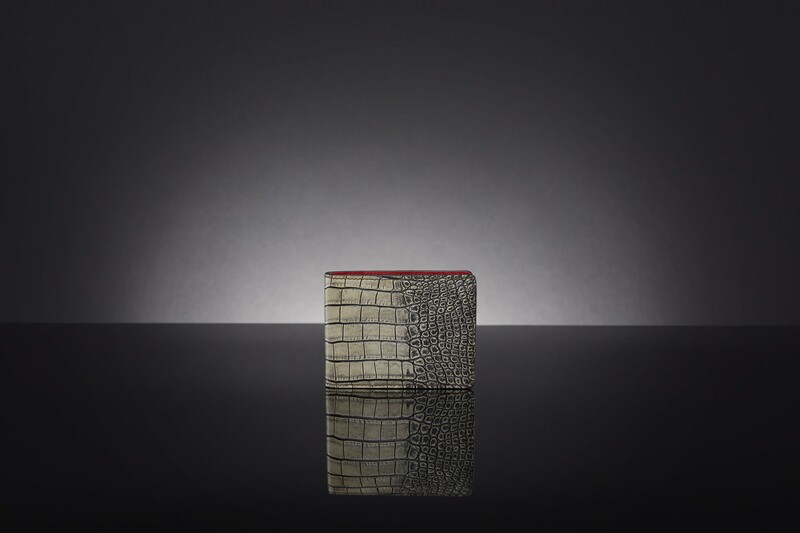 Shinny gris lizard with olive green Italian cowhide interior. 4 Note compartments. 14 Card slots. 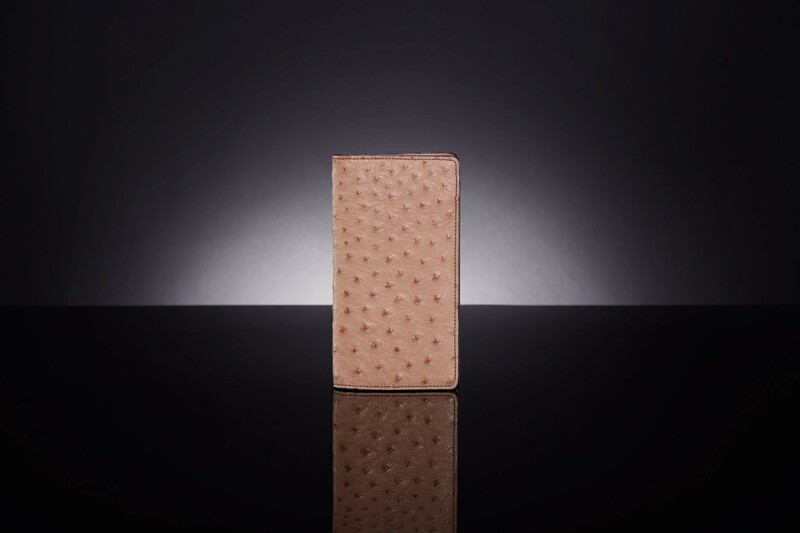 Beige South African ostrich with black Italian cowhide interior. 2 Note compartments. 6 Card slots. 2 Side card compartments. 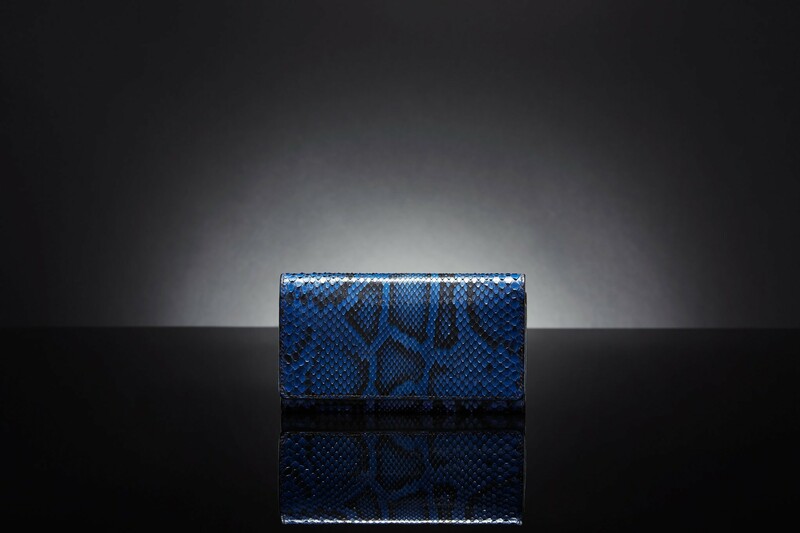 Shinny blue python with cherry Italian cowhide interior. 6 Note compartments. 1 Zipper compartment. 18 Card slots. 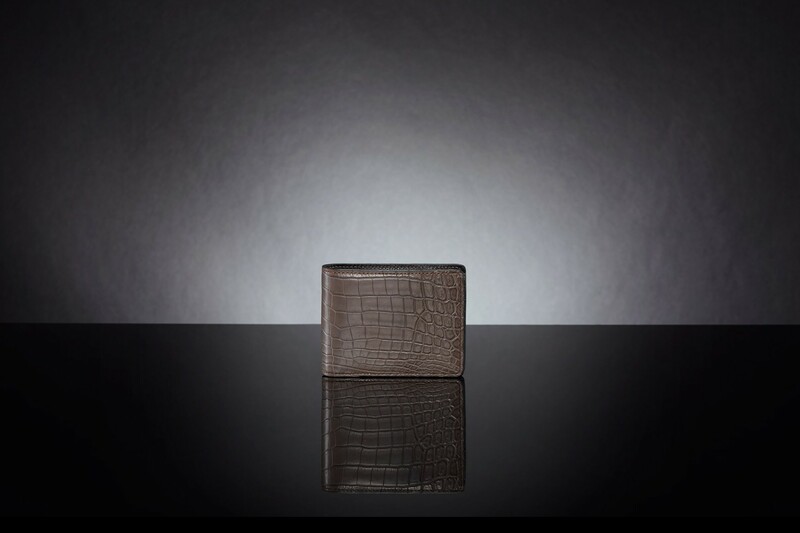 Matte latte Nova guinea crocodile with black Italian cowhide interior. 2 Note compartments. 6 Card slots. 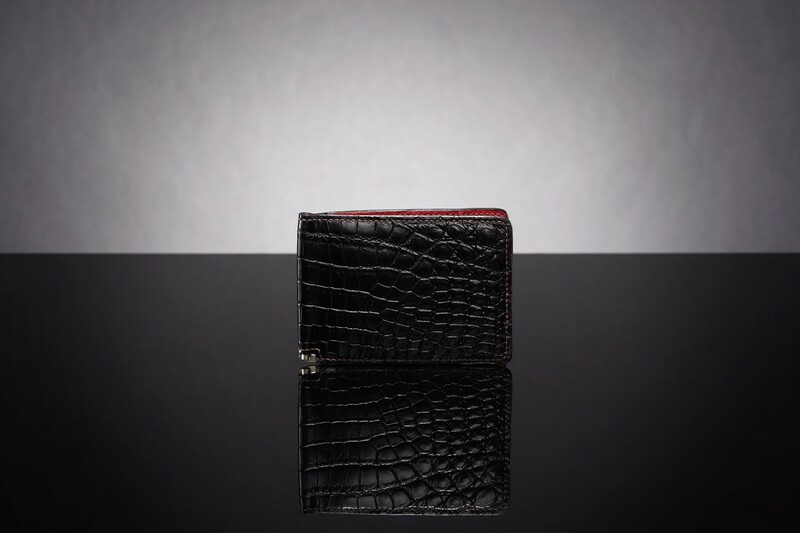 Matte black crocodile with cherry Italian cowhide interior. 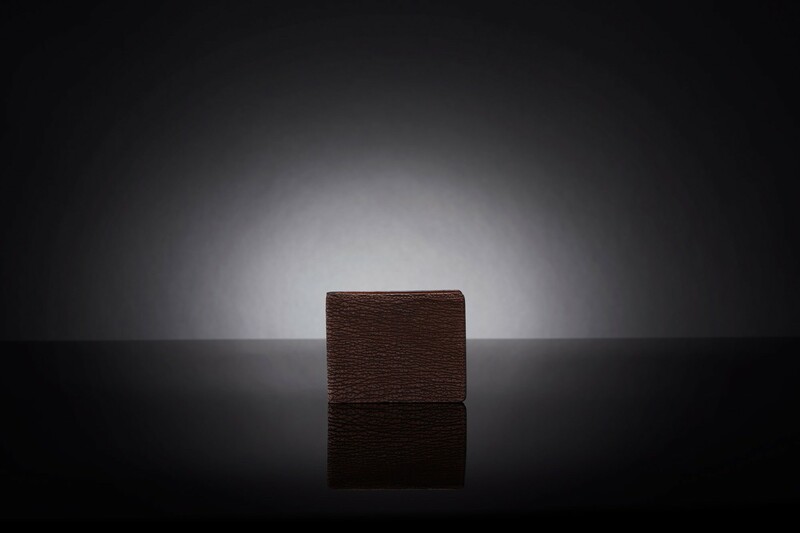 Metal money clip. 6 Card slots. 2 Side card compartments. 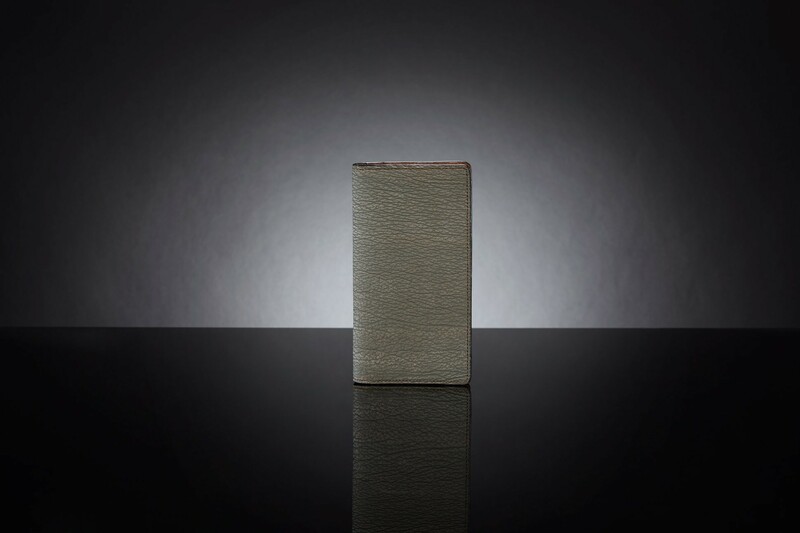 Grey shark with café Italian cowhide interior. 4 Note compartments. 14 Card slots. Azure cowhide with mustrad Italian cowhide interior. 2 Note compartments. 3 Card slots. 2 Side card compartments. 1 Coin pocket. 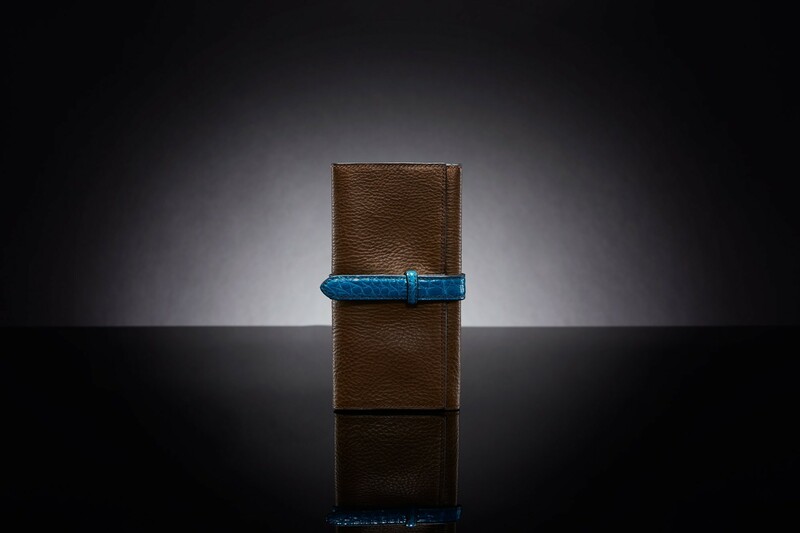 Shinny turqouise alligator with olive green Italian cowhide interior. 3 Note compartments. 1 Zipper compartment. 6 Card slots. 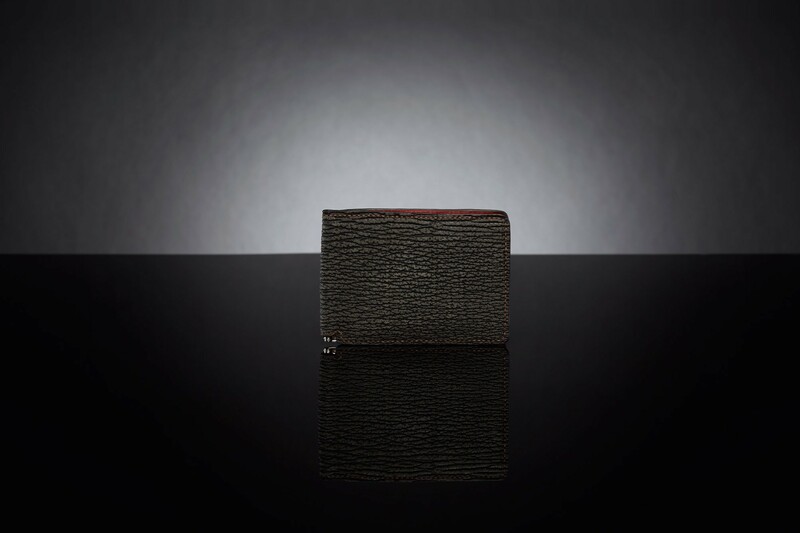 Black shark with cherry Italian cowhide interior. 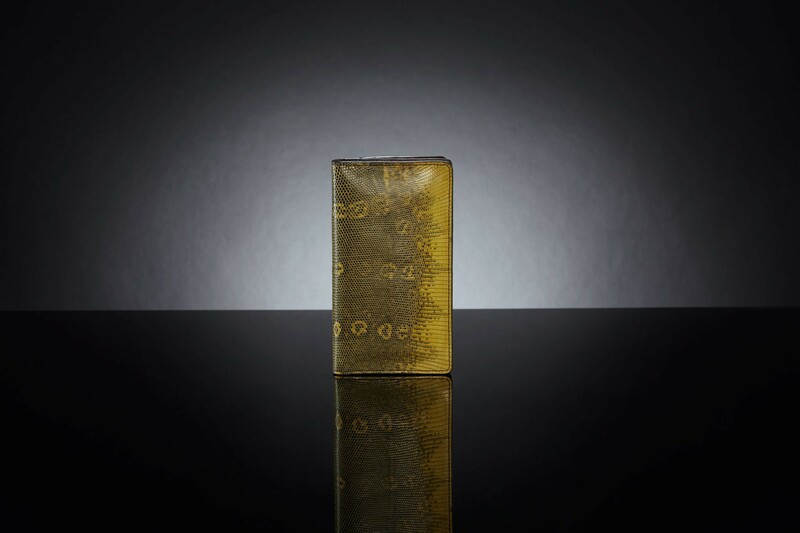 Metal money clip. 6 Card slots. 2 Side card compartments. Kango tabac ostrich with otter Italian cowhide interior. 2 Note compartments. 3 Card slots. 2 Side card compartments. 1 Coin pocket.